After a decade of country-wide efforts involving eight million members, the first-ever National Policy for Sri Lanka’s historic Cooperative sector has finally arrived at Cabinet level for ultimate approval. 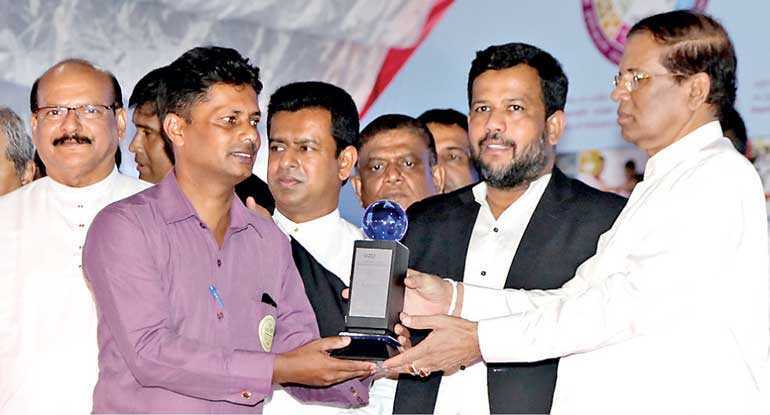 Once the approval by the Cabinet of Ministers for the National Cooperative Policy (NCP) submitted by the Minister of Industry and Commerce Rishad Bathiudeen is granted, NCP will become the sole framework of reference and guidebook for Sri Lanka’s coop sector’s way forward. The 111-year-old Sri Lankan Cooperative sector employs 46,000 and packs a membership of over eight million. The Lankan Cooperatives assets and savings base is estimated at a huge Rs. 418,416 million ($ 2.8 b). At present there are 14,454 Cooperatives in various production, services, SMEs, women’s development, rural banking, insurance and farming, active across Sri Lanka’s nine provinces. After a decade, the policy has been finally approved this year by Cooperative Ministers of all Provincial Councils, District Cooperative Councils and regional cooperative officials (representing their eight million members) unanimously. This go-ahead by the entire Lankan Coop sector is the first such unanimous approval given by this sector for the NCP, whose work began way back in 2008 and subsequently undergoing multiple revisions under different governments. This year, a decade later, subsequent to many rounds of NCP stakeholder consultations in Colombo led by Minister Bathiudeen and the Ministry of Industry and Commerce and that began in 2016, the NCP was finalised with International Labour Organisation (ILO) backing and has been submitted for Cabinet approval by the Ministry. Among the main themes of the new NCP are modernising the Coop sector on par with other Cooperative movements in the world, bringing in ICT, introducing self-financing, good governance, financial and credit methods, involving more youth and women in the sector’s next stage and simplifying the legal set-up for the sector to be more viable.